Anini-y. Anini-y. Anini-y. Like a chant, I silently repeated the name to myself lest I forget where I would need to alight from the bus that I took all the way from Iloilo. 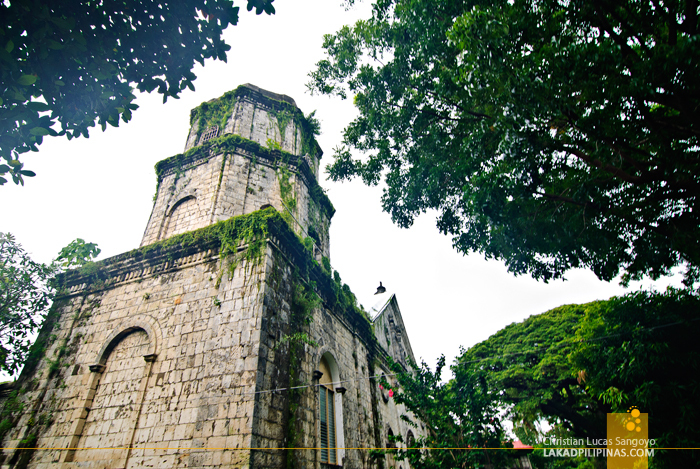 I have been doing a Visita Iglesia of sorts around the Province of Iloilo and I decided to cross Antique and include the diminutive Anini-y Church on my list. Fast forward a few months later and I’m back at the sleepy town of Anini-y. 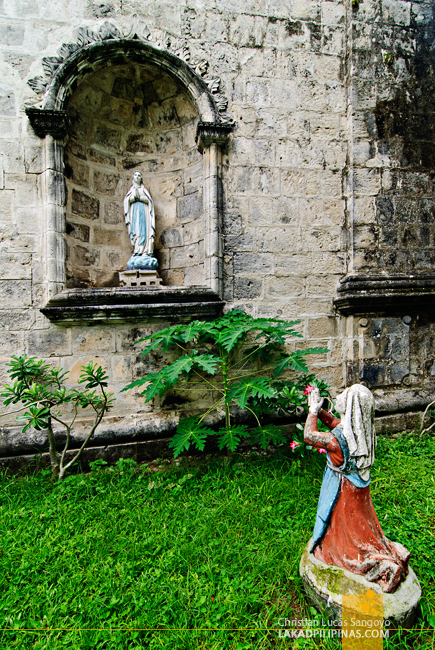 Invited by Antique’s Katahum Tours, I again crossed the border of Iloilo and stepped back into Antique’s mostly uncharted tourist destinations. We’re going to visit a few more towns across the province and see what can drive people to visit the area where the stigma of aswang legends still persist. 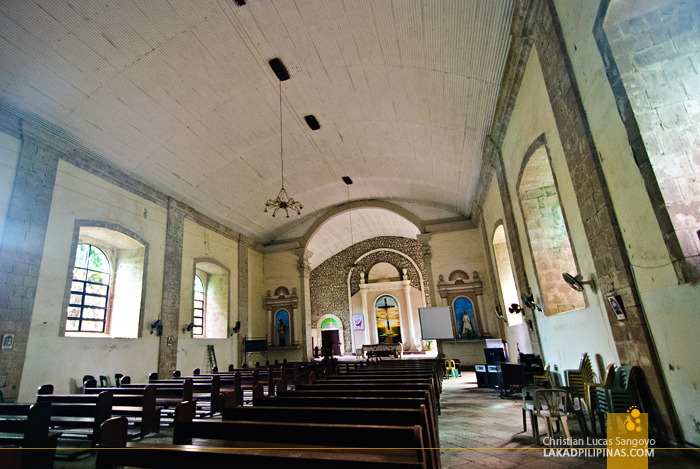 Not unexpectedly, our first stop for the three-day tour in Antique is the small Anini-y Church. Coming from Iloilo, this is the logical route for the tour since it’s literally just a few kilometers from the border of the two provinces. 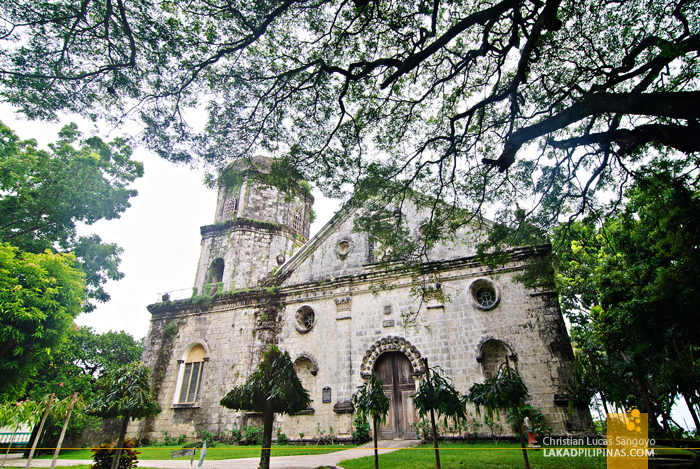 Officially known as St. John of Nepomuceno Parish, it is the only colonial church in the whole of Antique that’s still standing after the 1948 Lady Caycay earthquake lay waste to the other Spanish churches in the province. 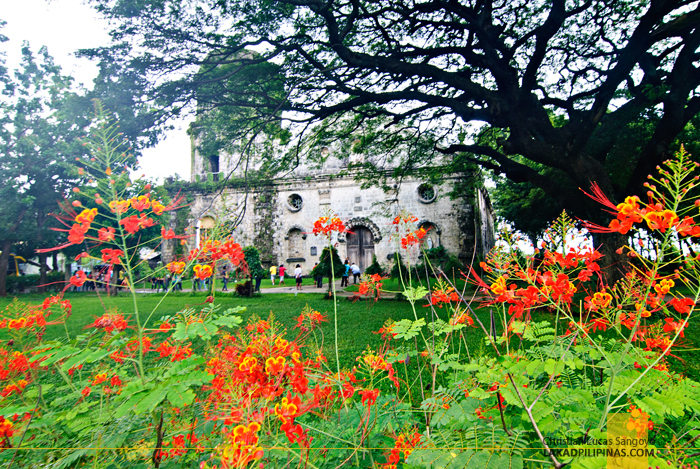 Built by the Augustinian friars in 1845, Anini-y Church is constructed of coral stones which were probably quarried from the nearby Sea of Sulu. The blocks of corals were glued using the traditional way of using egg whites. There are even stories circulating as to how priests used to coax the locals into raising more chickens in order to produce more eggs for the construction. The existing structure is the third incarnation of its kind, with its previous versions smaller in area. Its facade and small size kinda reminds me of Aklan’s Tangalan Church, which incidentally has the same parish name as that of Anini-y’s. Its main body almost looks the same with its arched door and symmetrical round windows. The difference though lies in its less elaborate triangular tympanum and its hexagonal belfry. 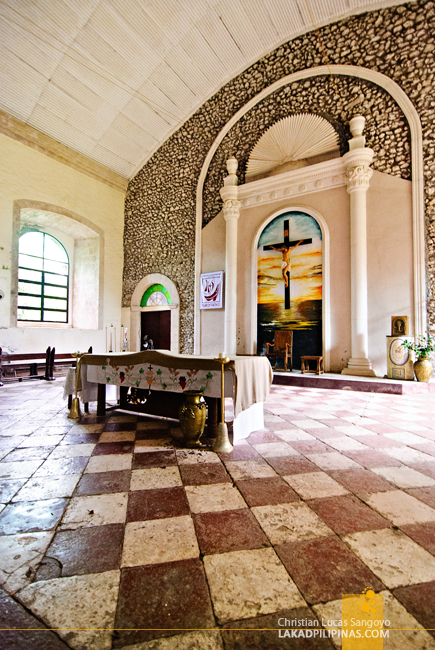 Memories of my first visit in Anini-y Church just a few months ago came back to me as we were leaving the church. I was the only soul in the area and I was silently admiring the small church from its sprawling grass-strewn yard. There seems to be a certain charm to simpler and smaller churches. Thanks for visiting our place Christian ;) Ti daad makabalik kaw liwan hehe! He's just saying that "hope you can comeback and visit their place again". 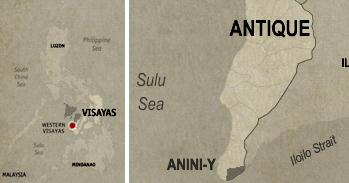 I've always wanted to visit Antique especially Anini-y. Winston, thanks for the translation! Yes, I want to go back to Antique too!